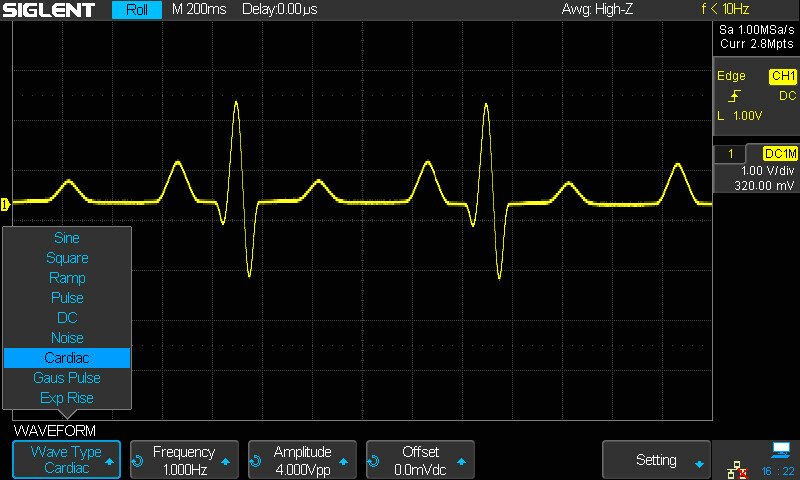 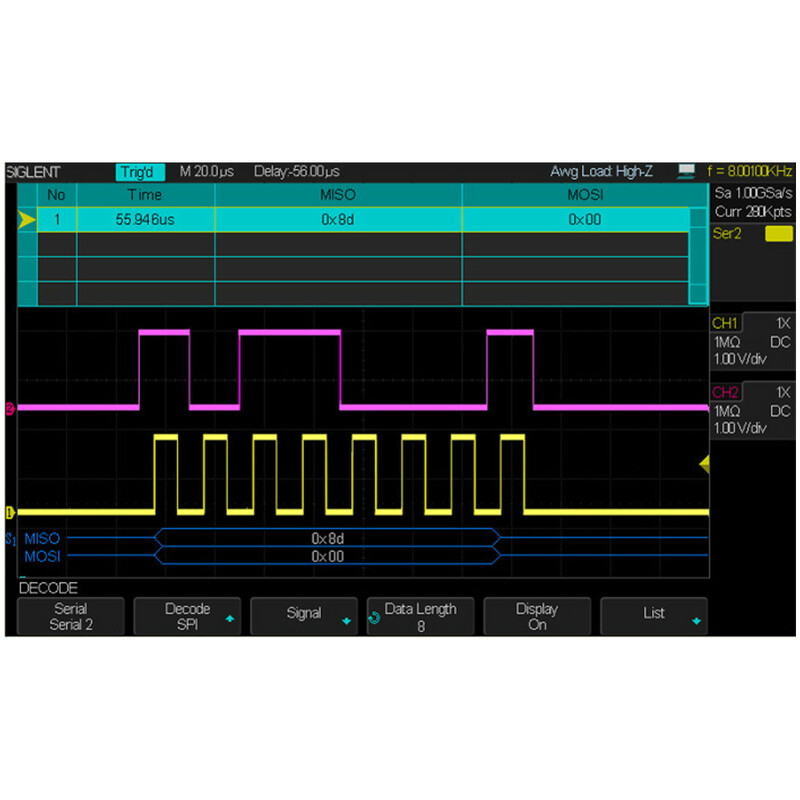 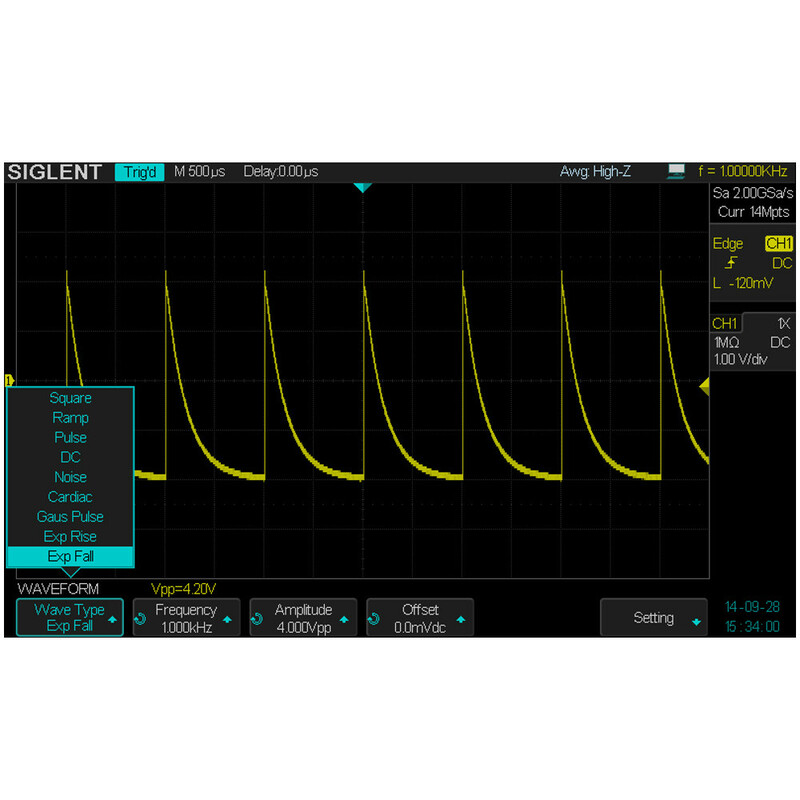 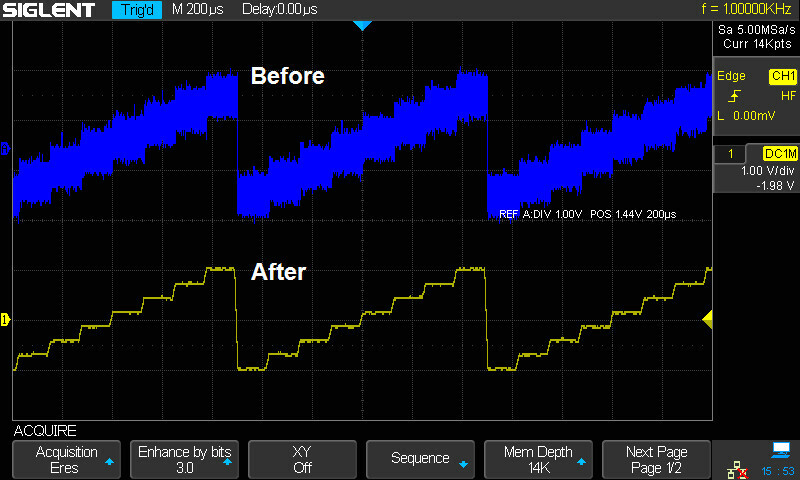 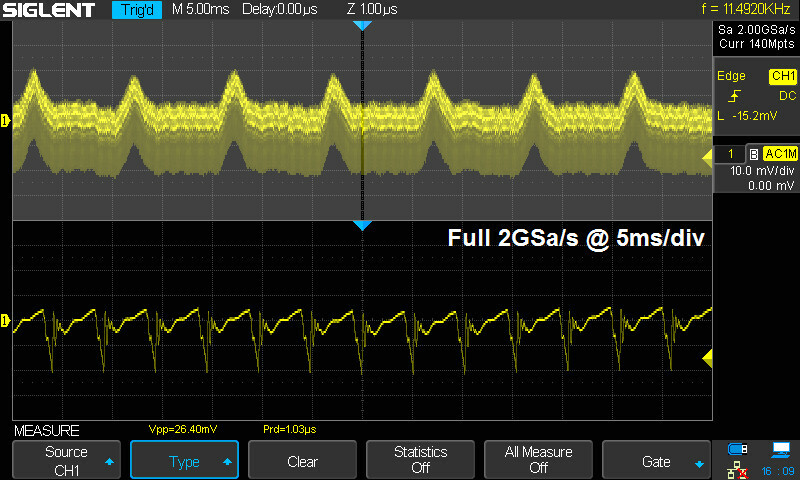 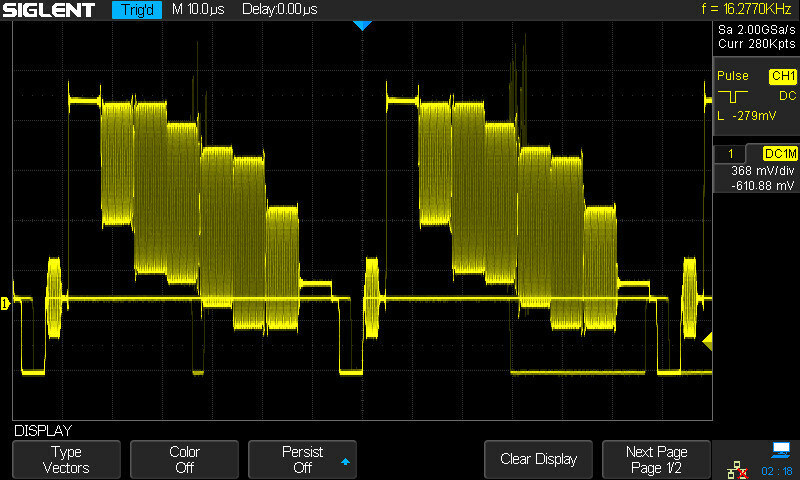 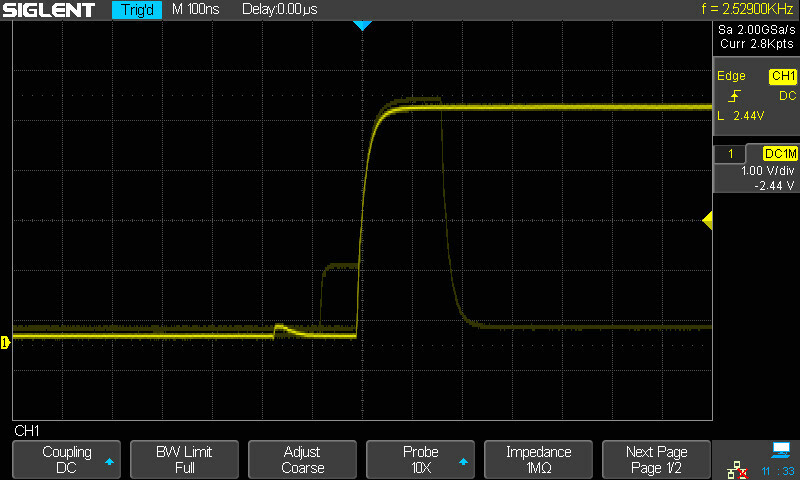 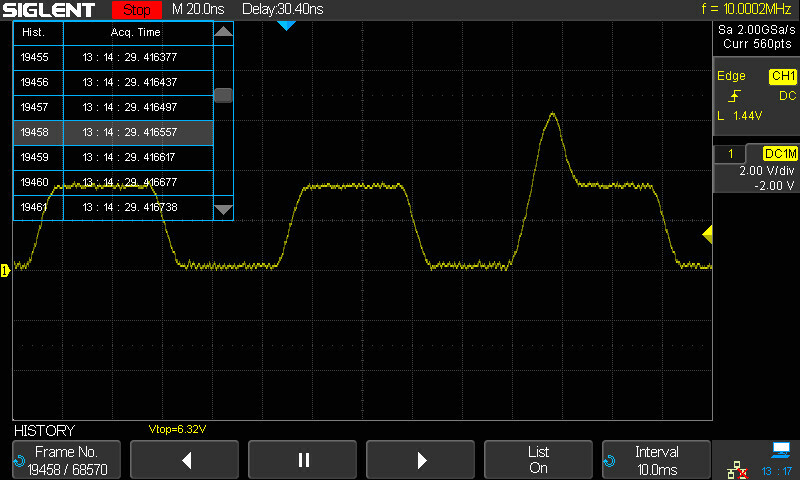 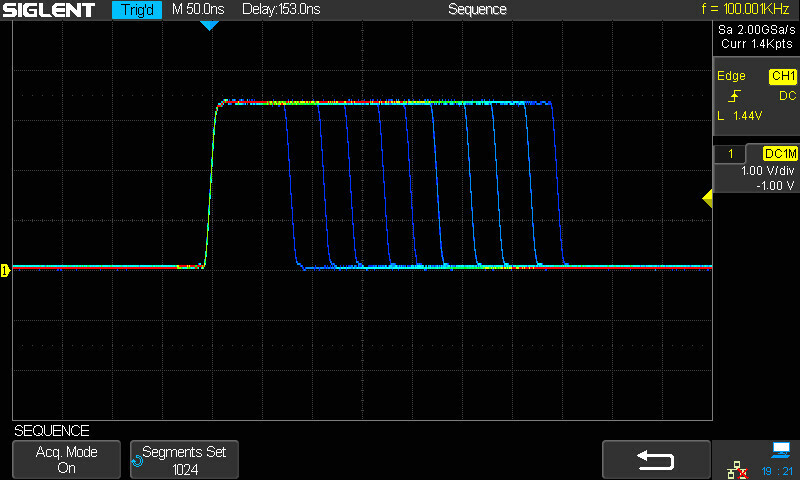 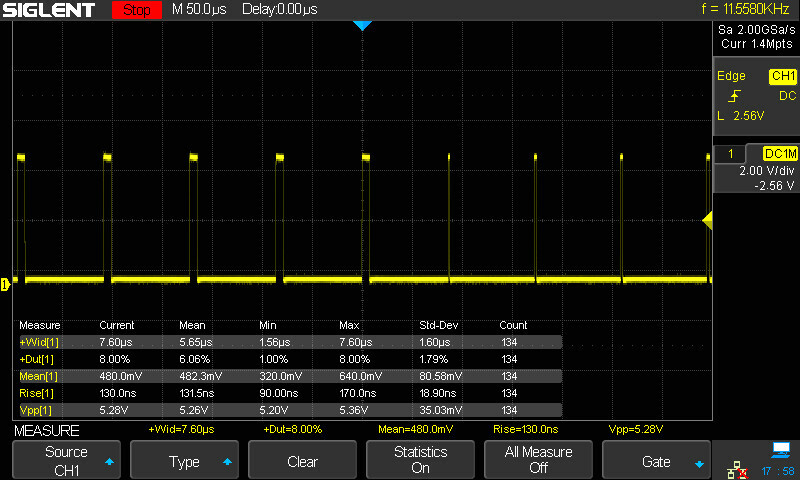 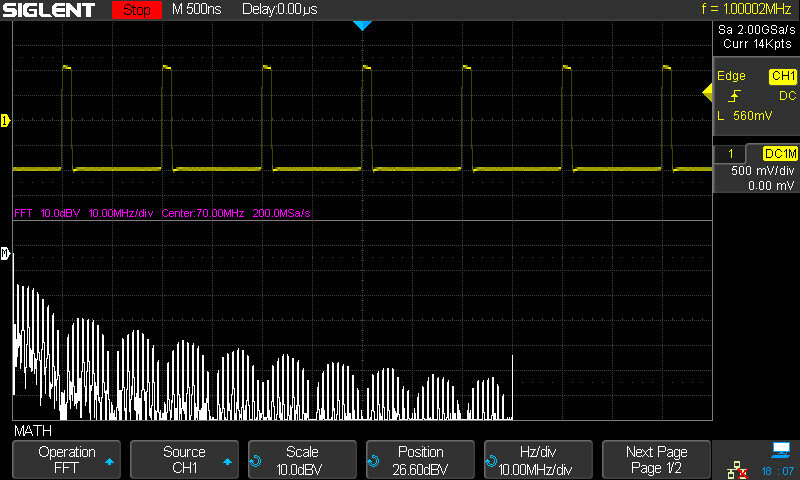 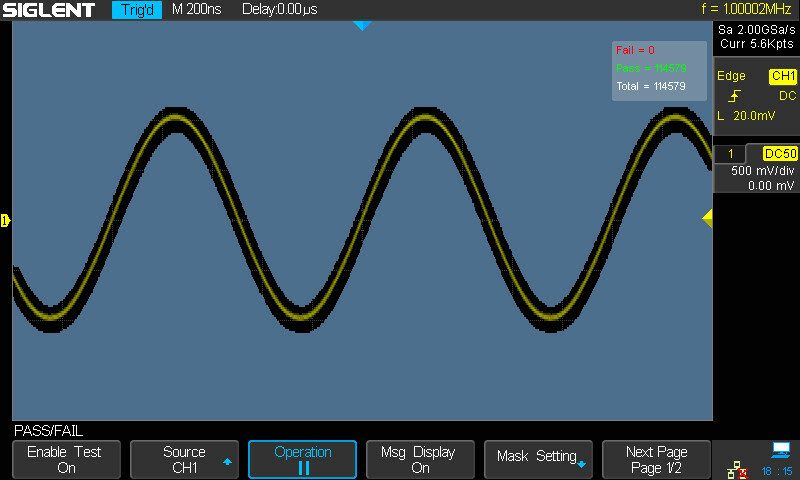 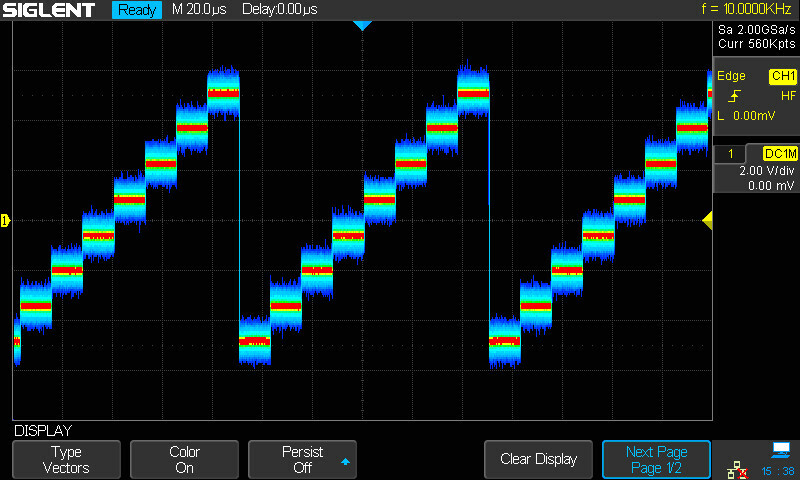 SIGLENT’s SDS2202X Super Phosphor Oscilloscope with a bandwidth of 200 MHz and features a maximum sample rate of 2 GSa/s, and a maximum record length of 140 Mpts. 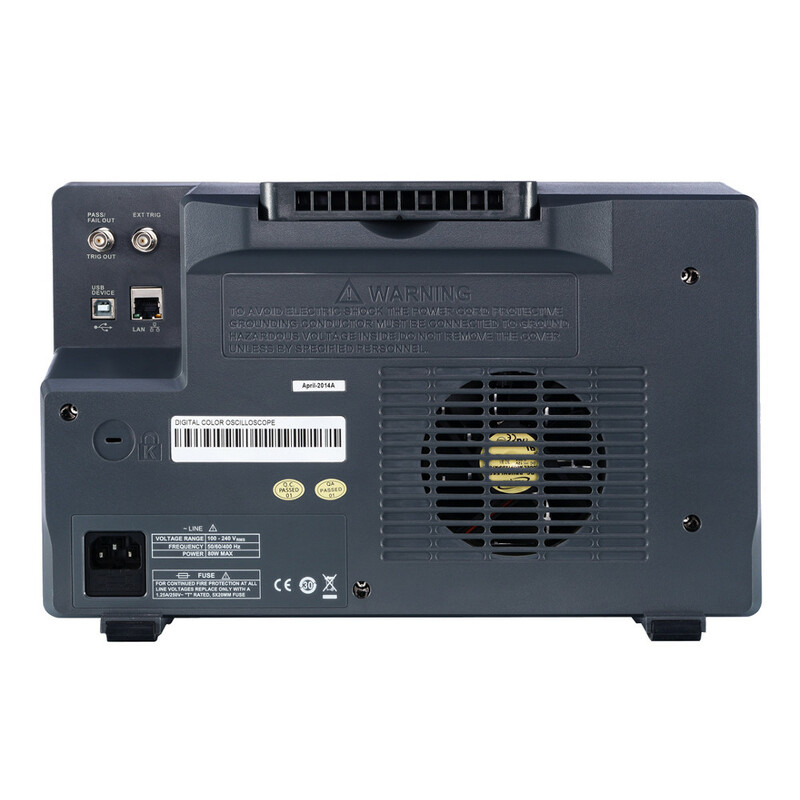 The most commonly used functions can be accessed with its user-friendly one-button design. 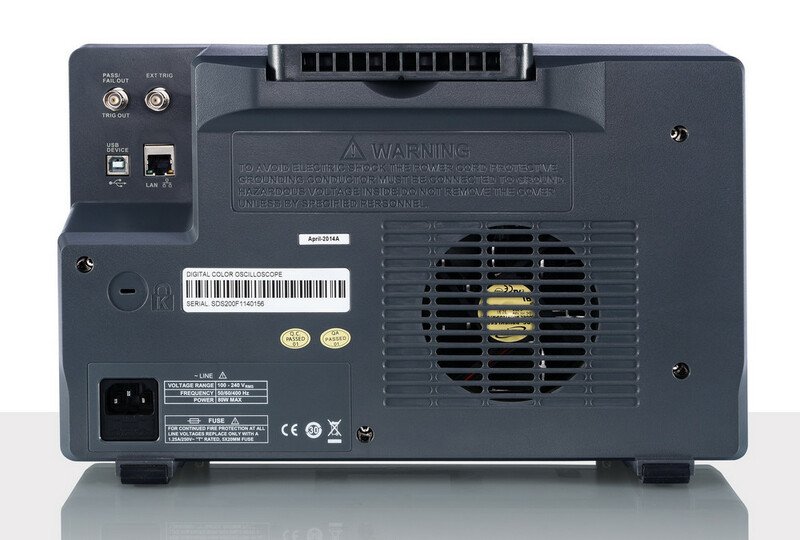 The SDS2202X employs a new generation of SPO technology. 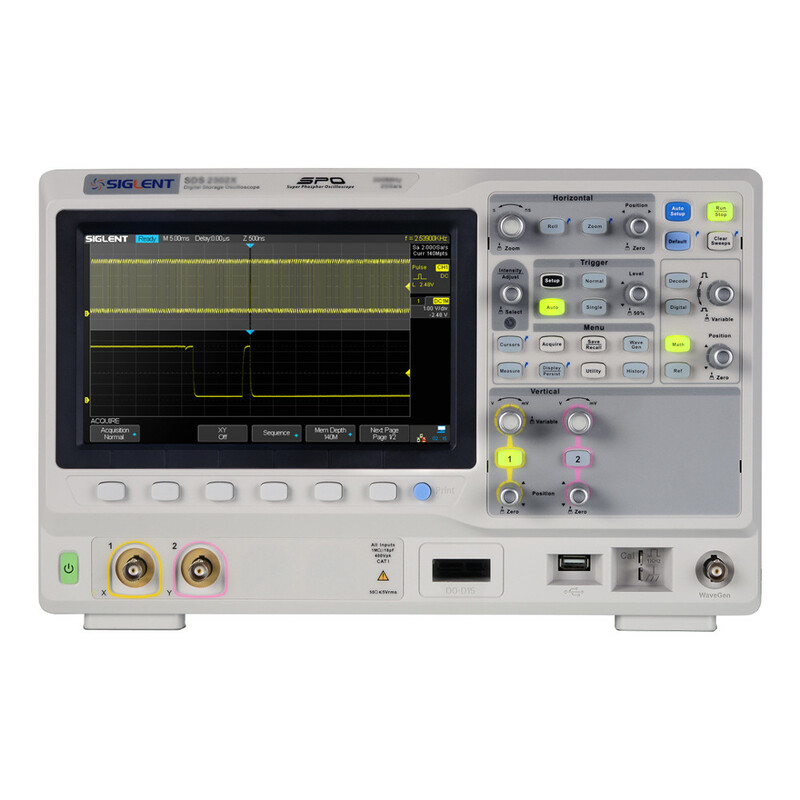 It has an innovative digital trigger system with high sensitivity and low jitter, and a maximum waveform capture rate of 140,000 wfm/s (normal mode), up to 500,000 wfm/s (sequence mode). 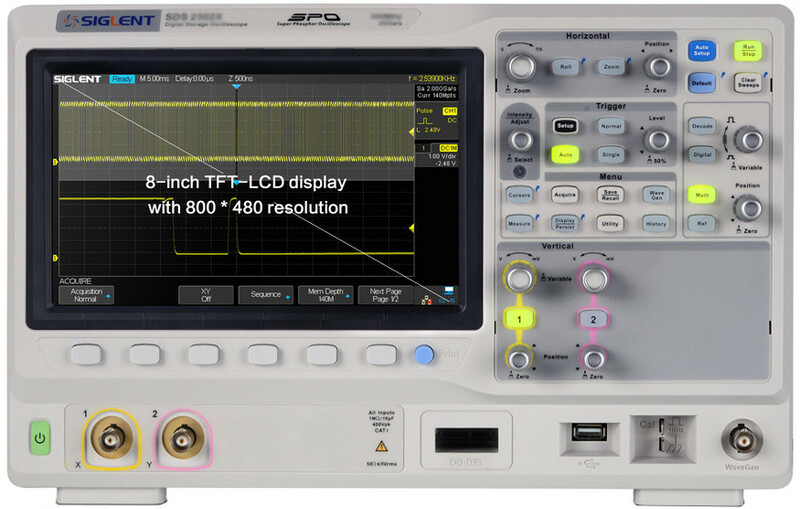 It also employs the common 256-level intensity grading display function but also a color temperature display mode. 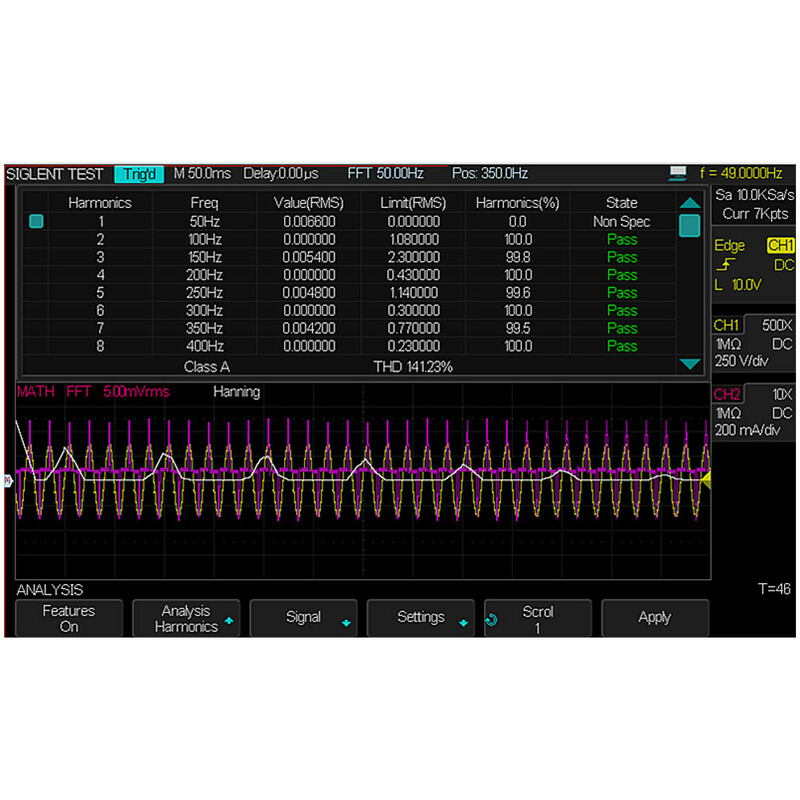 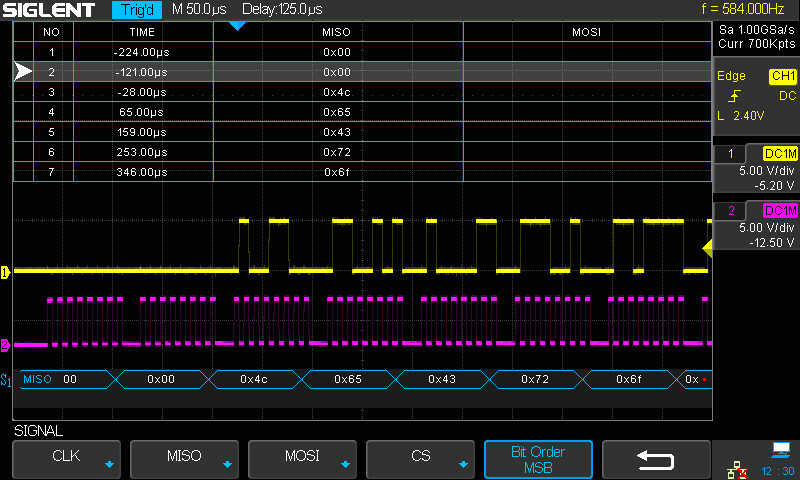 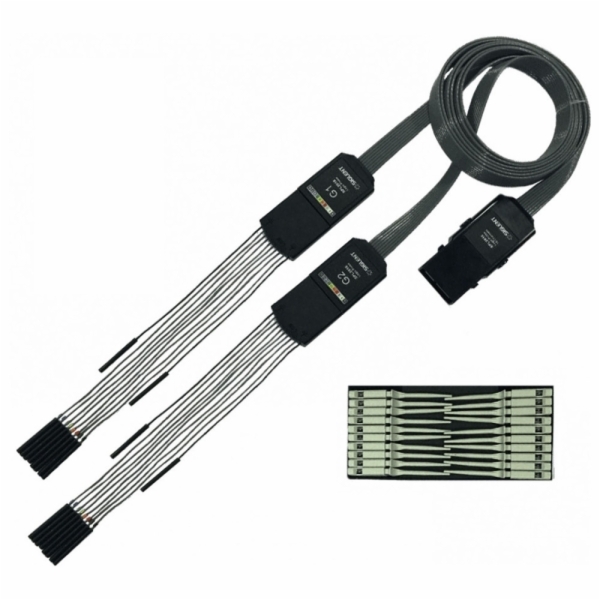 The trigger system supports multiple powerful triggering modes including serial bus triggering, History waveform recording and sequence acquisition allow for extended waveform records to be captured, stored, and analyzed. 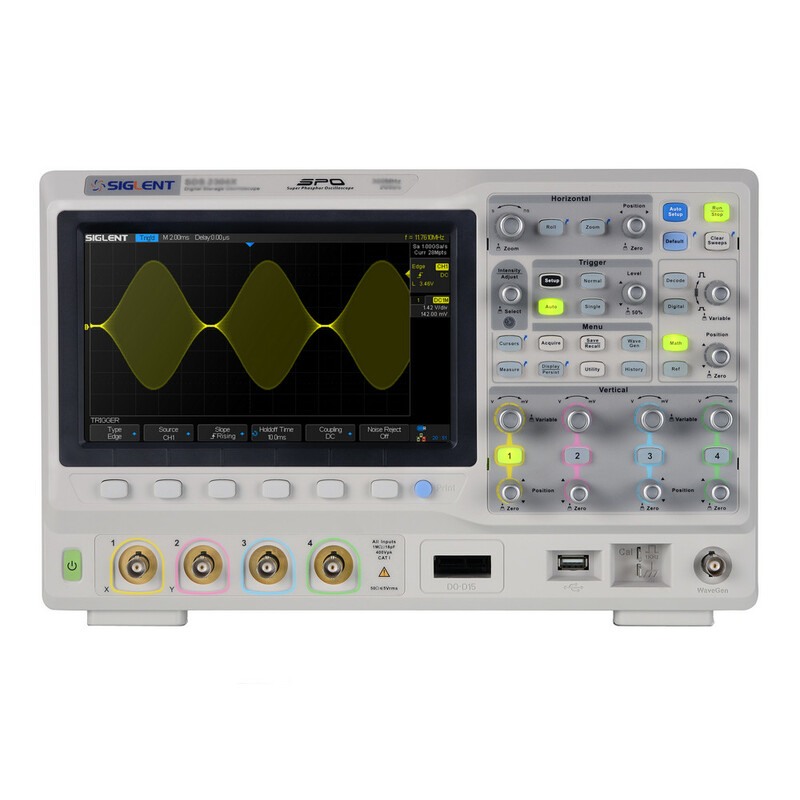 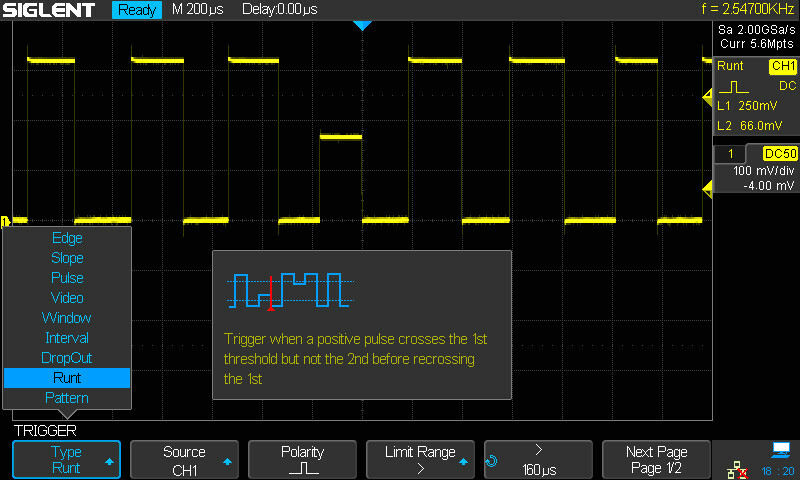 An impressive array of measurement and math capabilities, options for a built-in 25 MHz arbitrary waveform generator, 16 digital channels (MSO), as well as serial decoding are also features of the SDS2202X.